In this house, Ben Franklin ranks pretty high. Jude thinks he's probably the greatest American ever (though George Washington ranks pretty close behind). Ben edges everyone out because he did everything. He was a printer. He went to France (during the American Revolution). He flew that kite in a thunderstorm. He invented bifocals. 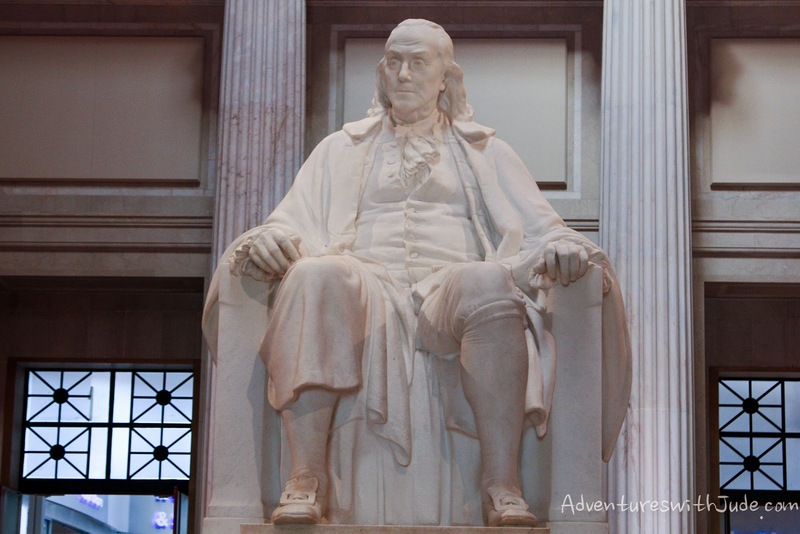 When it comes to pedestals, Ben Franklin's is pretty tall. 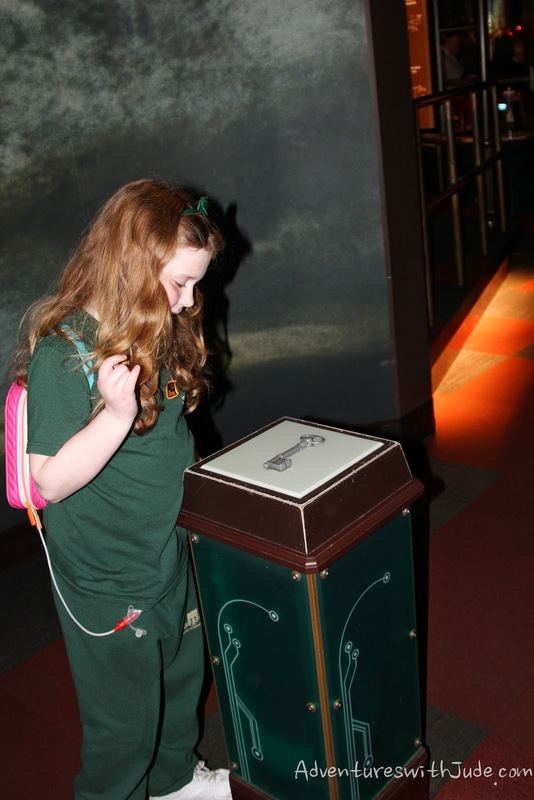 For Celia's recent class trip, the school chose the Franklin Institute for their destination. 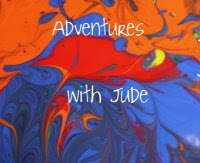 (Jude was jealous -- though we've been there as a family, he was disappointed he didn't get to go this time, too. 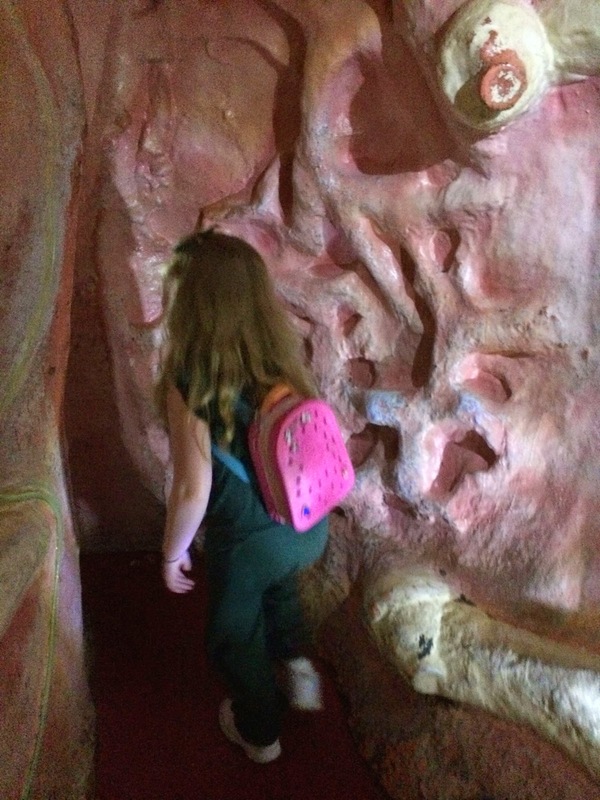 Maybe one day in the fall we'll have a homeschool trip!) 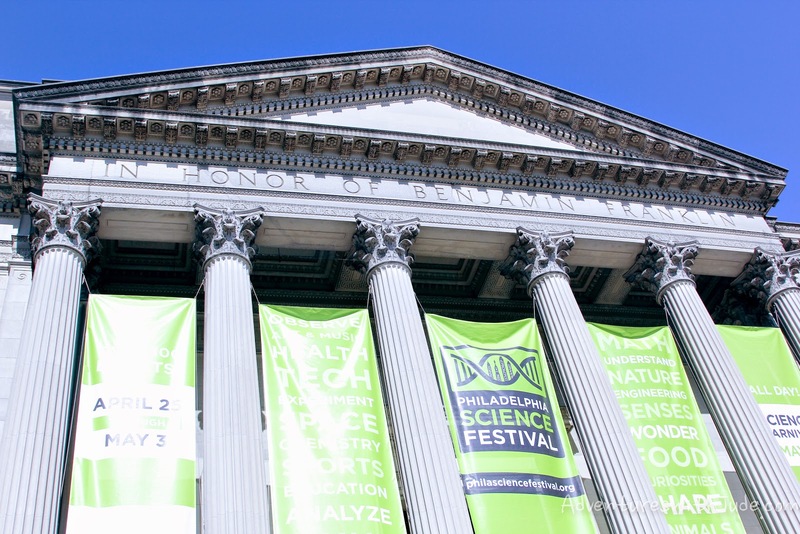 The Franklin Institute is a twofold venue: a free National Memorial to Benjamin Franklin and a paid entrance hands-on Science Museum. The centerpiece of the Benjamin Franklin National Memorial is a 20-foot (6.1 m) high marble statue, sculpted by James Earle Fraser. The Memorial was designed by architect John T. Windrim and modeled after the Pantheon in Rome, and opened to the public in 1938. The floors and walls created of imported Italian, Portugese, and French marble soar into a 1600-ton yet self-supporting dome. Projections of many of Ben's well-known phrases light the walls. 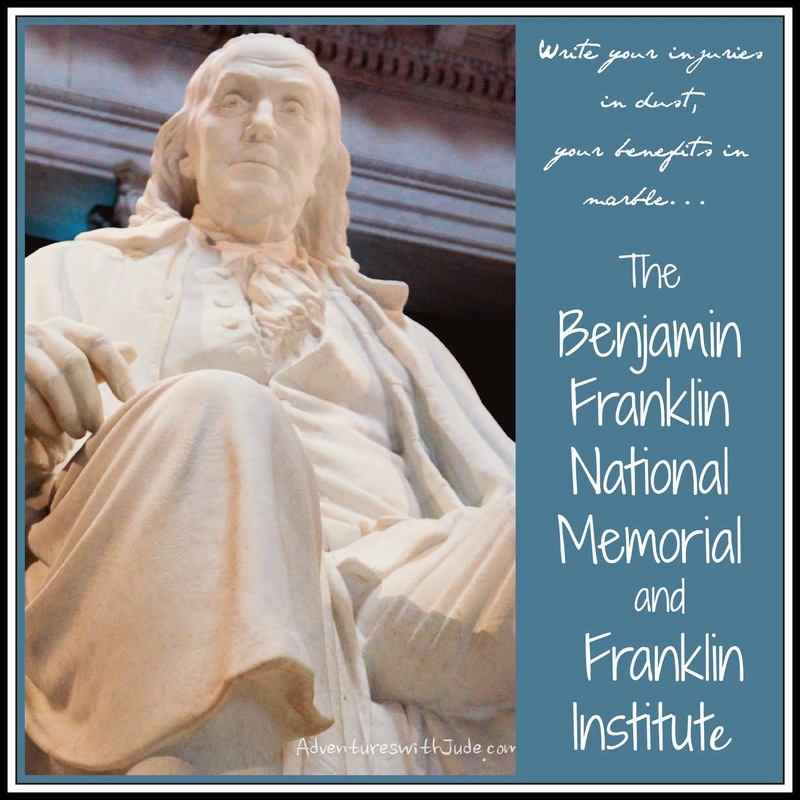 Dedicated in 1976, the Benjamin Franklin National Memorial is the only privately owned National Memorial in the country. It is maintained by the museum. 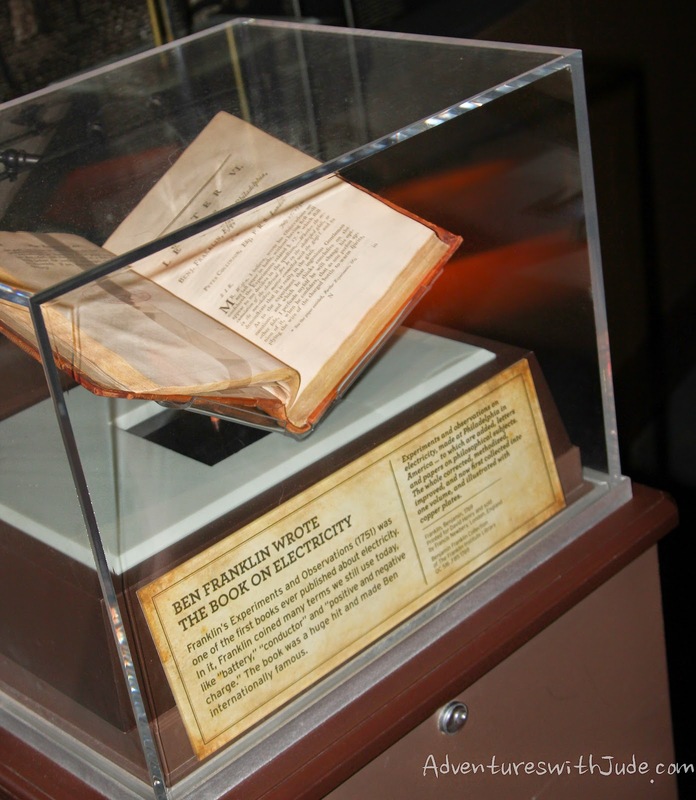 In 1824, Samuel Vaughan Merrick and William H. Keating founded The Franklin Institute of the State of Pennsylvania for the Promotion of the Mechanic Arts. 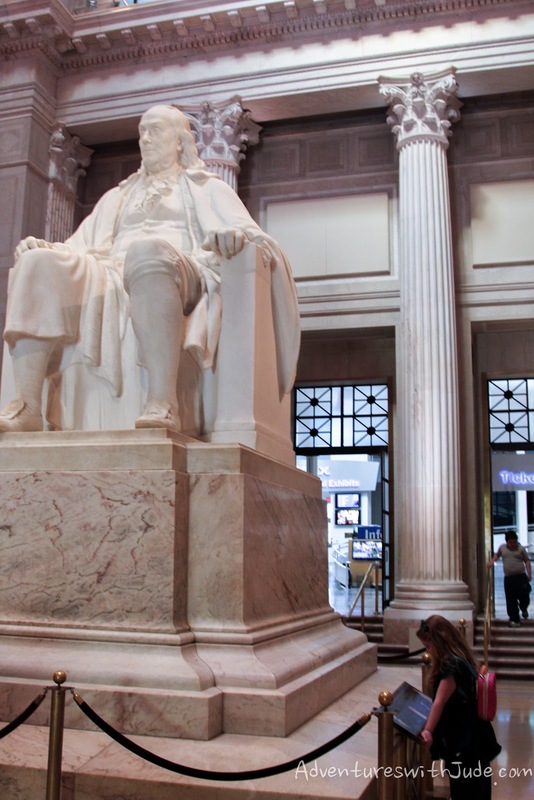 The Franklin Institute was established to honor Benjamin Franklin's contributions to science. 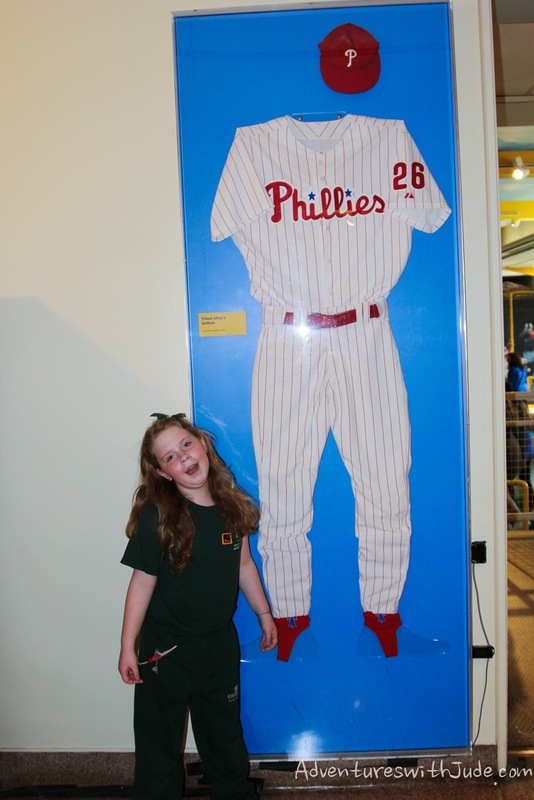 This museum was built at 15 South 7th Street in Center City Philadelphia. By the 1930s, a new venue was necessary. The Franklin Institute and the Poor Richard Club began to seek funds to build a new science museum and memorial hall. Despite the throes of the Great Depreession, 5.1 million dollars was raised in just twelve days. In 1932, the cornerstone of the new Franklin Institute was laid at 20th Street and the Benjamin Franklin Parkway. 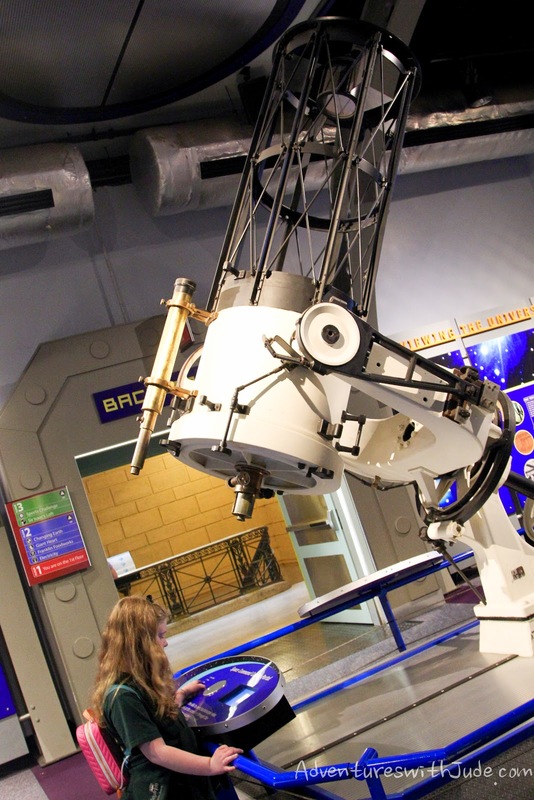 In 1933, construction began on the Fels Planetarium, donated by Samuel S. Fels. It was to be only the second planetarium in America. The new museum opened to the public in 1934. 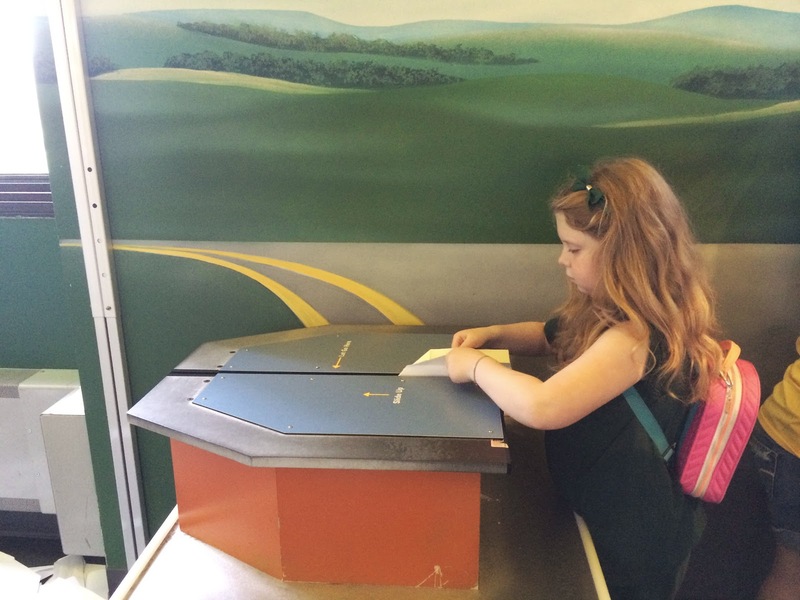 One of the most wonderful things about the Franklin Institute is children learn much as Ben Franklin did -- by doing. As the tenth and youngest son (who still had 16 siblings in total), the price of a formal education was too dear. At age 10, young Ben began working in his father's candle shop; he later apprenticed with his brother James as a printer. 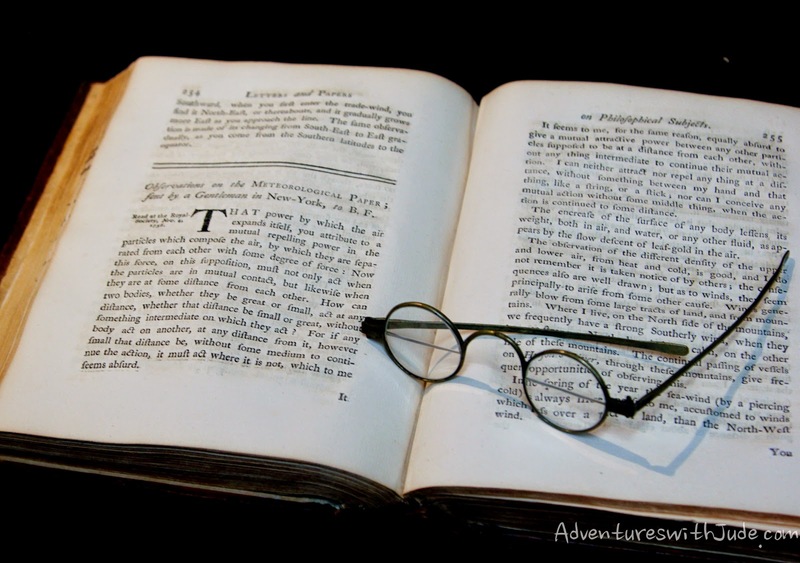 A true Renaissance man, Franklin may have left school but he never stopped learning. His inventions are legendary; his contributions as a Statesman were pivotal in establishing the United States as a sovereign nation. 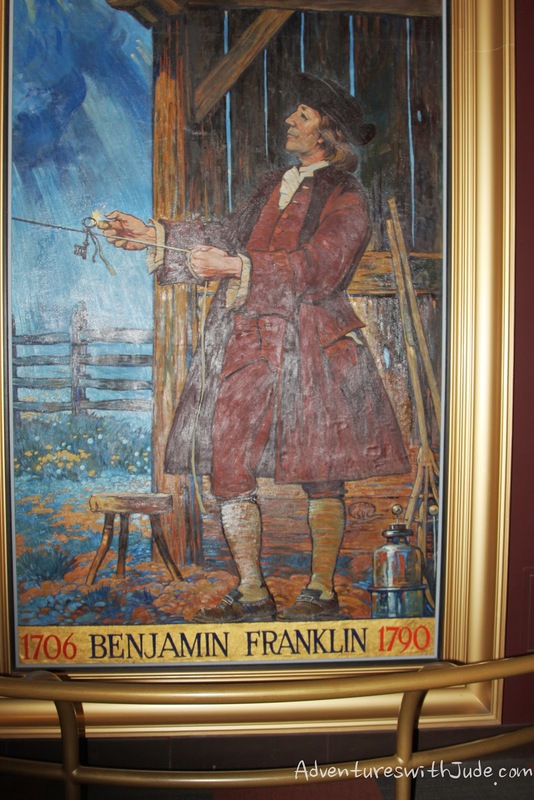 However, what almost everyone recalls about Ben Franklin is his experiment with a thunderstorm, a kite, and a key. Electricity doesn't just power the lights. It moves us, too! Explore principles of aeronautics in this section. 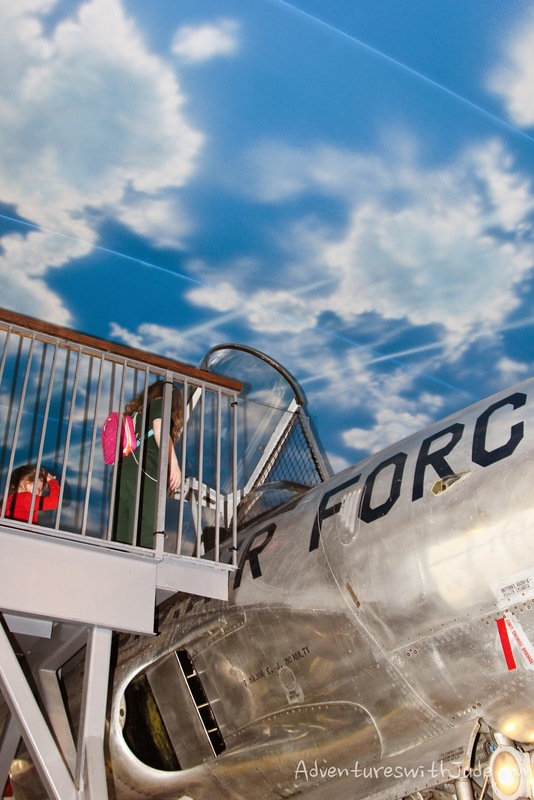 Pretend to pilot an Air Force plane, or build and launch your own (paper) airplane. If your plane is made right and properly balanced, it will shoot out of the launcher directly into the recycle bin! 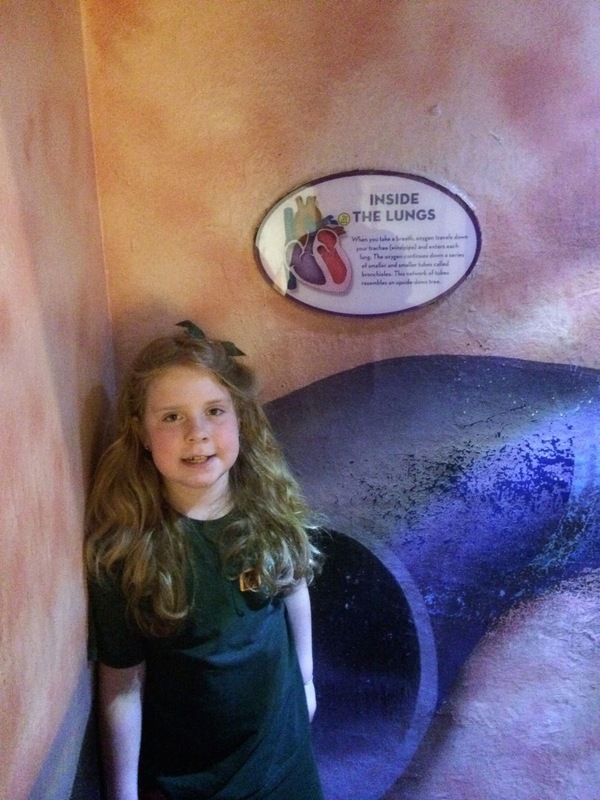 The centerpiece of this exhibit is a giant, walk through reproduction of the human heart and lungs. Follow the path blood takes as it leaves enters the heart, becomes oxygenated in the lungs, and returns to the body. Look! I'm a catastrophic cardiac thrombus! Now I'm a pulmonary embolism! 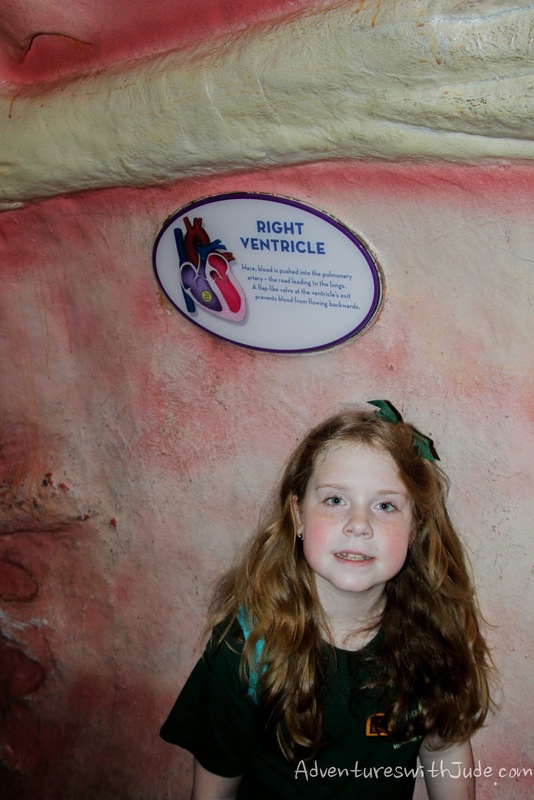 Other exhibits explain the cardiac system, and the importance of cardiac health. Ever wonder how much blood you have? Generally speaking, it's about 8% of your total body weight. 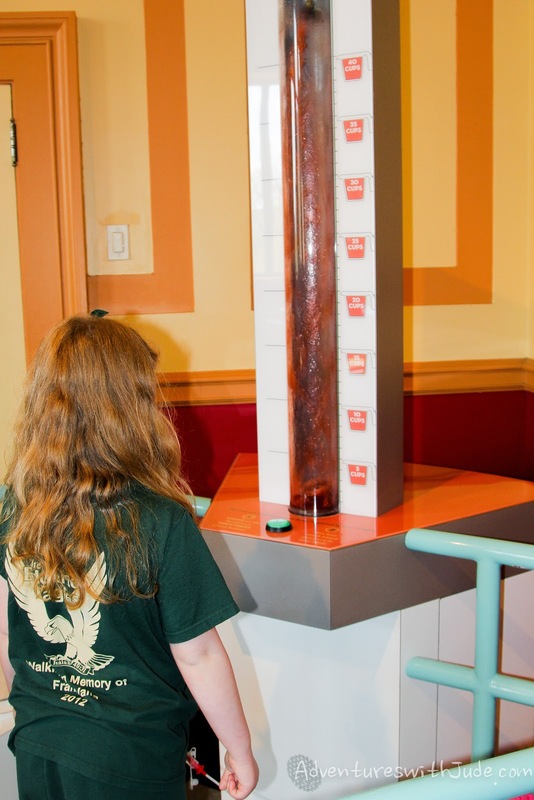 This scale measures your body weight and then the appropriate volume of liquid is shown. Celia was shocked to learn that Mom's blood volume was more than three times hers. If you're looking to rest your feet, have a seat. It's modeled to show the marrow that resides in our bones. 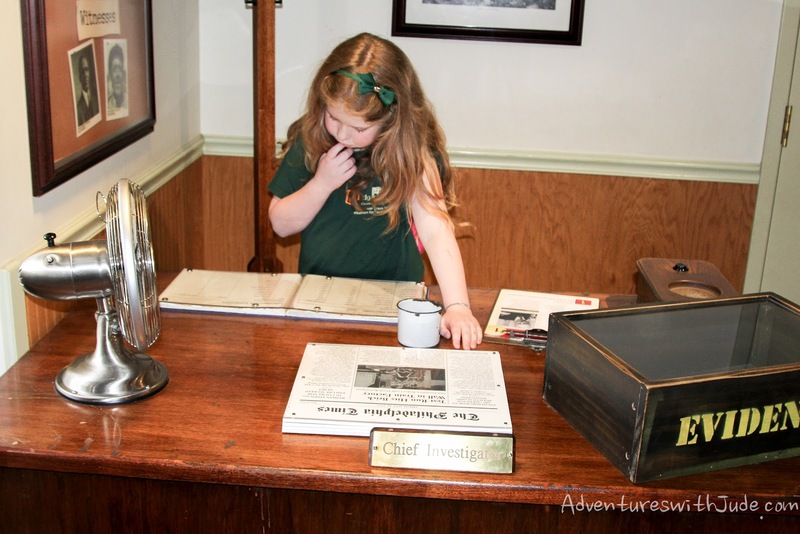 Celia's first impression -- "Look Mom! 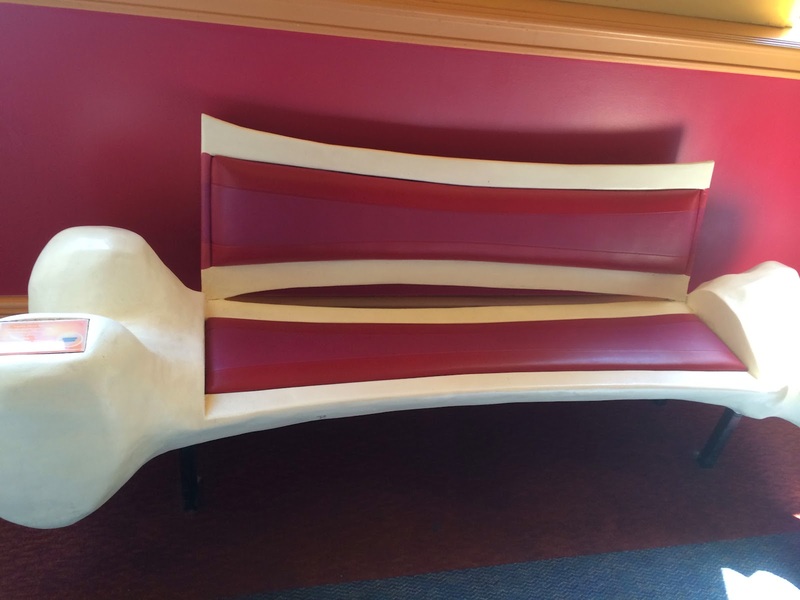 A Bacon Bench." Ironic considering the topic...it's a good thing Philadelphia hospitals have some of the best cardiologists in the nation on staff! 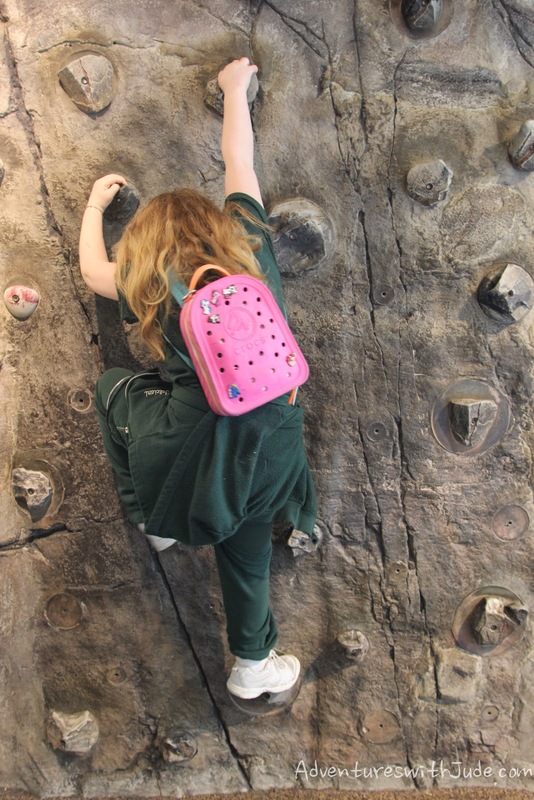 This exhibit uses sports and activity to show science. 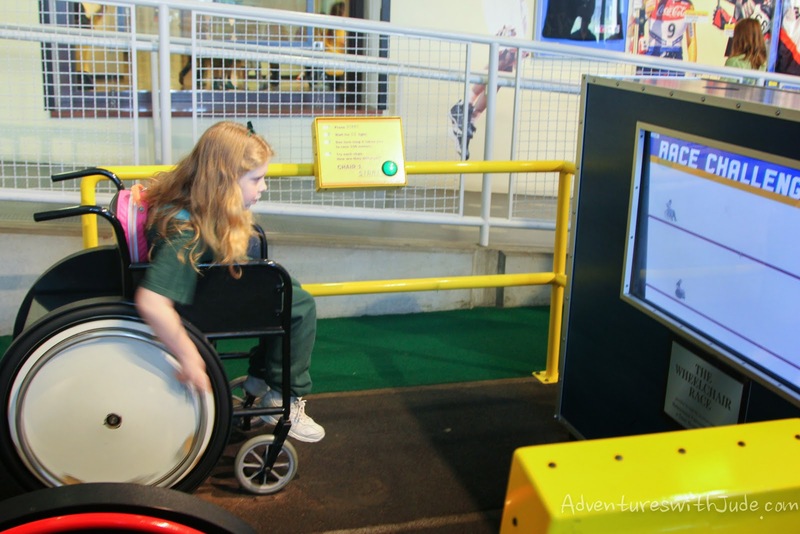 From the motor planning of wall climbing to a figure skater needing managing centrifugal force in a spin to the role of aerodynamics in a racing wheelchair, you can learn how sports is a specialized science. 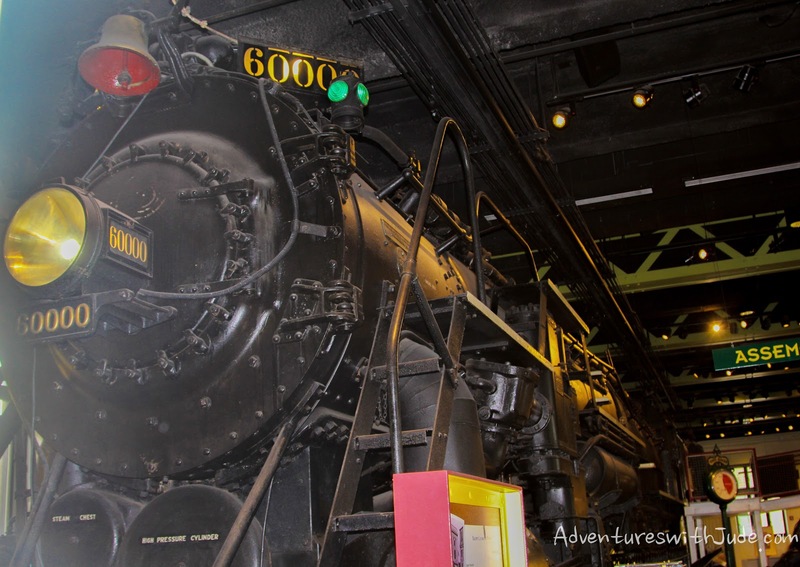 This Baldwin 60000 locomotive was built just outside of Philadelphia in 1926. 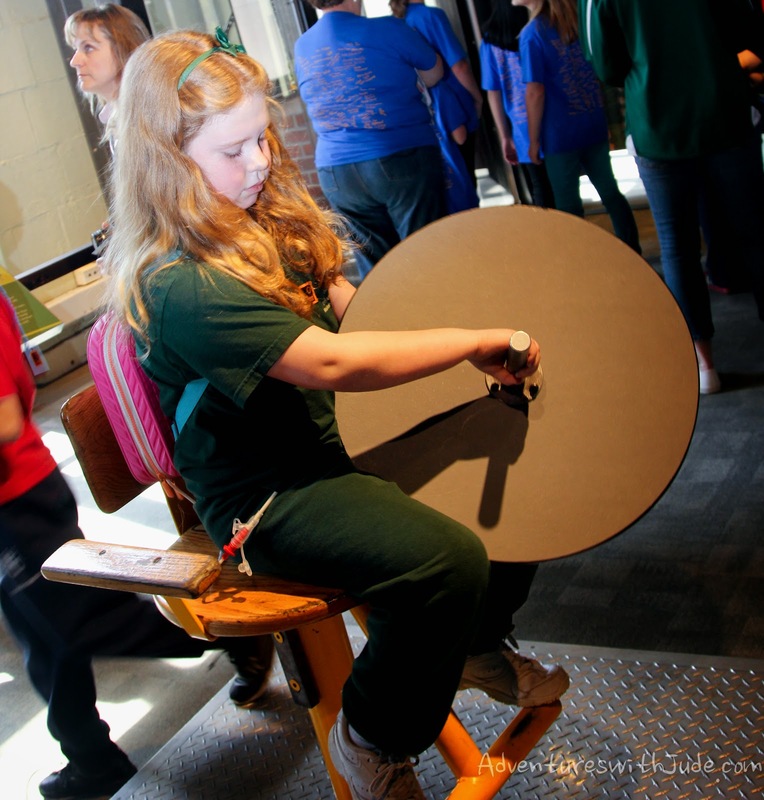 It gives visitors the opportunity to climb aboard a real steam engine. 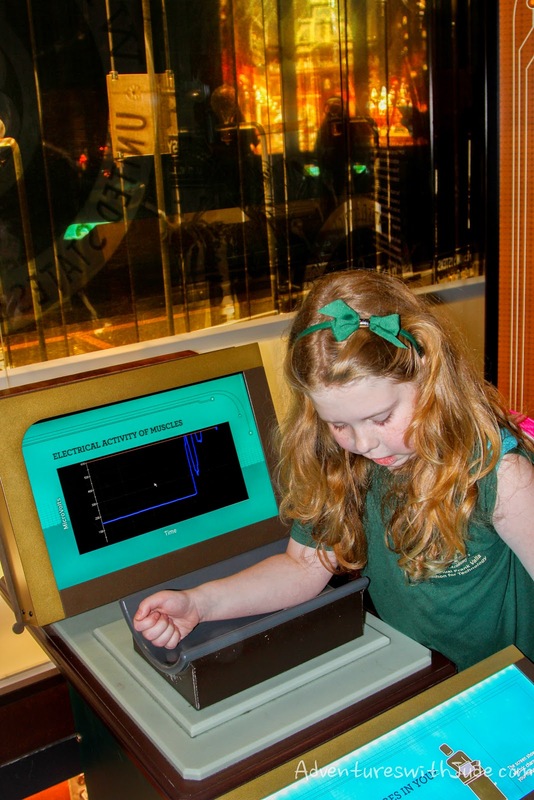 You'll also have the opportunity to explore electric and magnet trains. Forensic science is also on display. 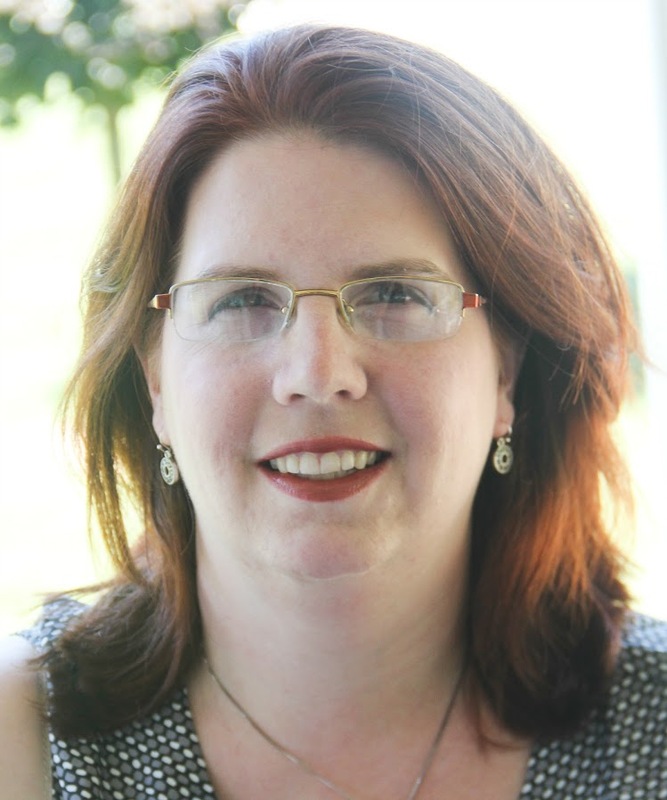 Solve the mystery of why a train derailed. 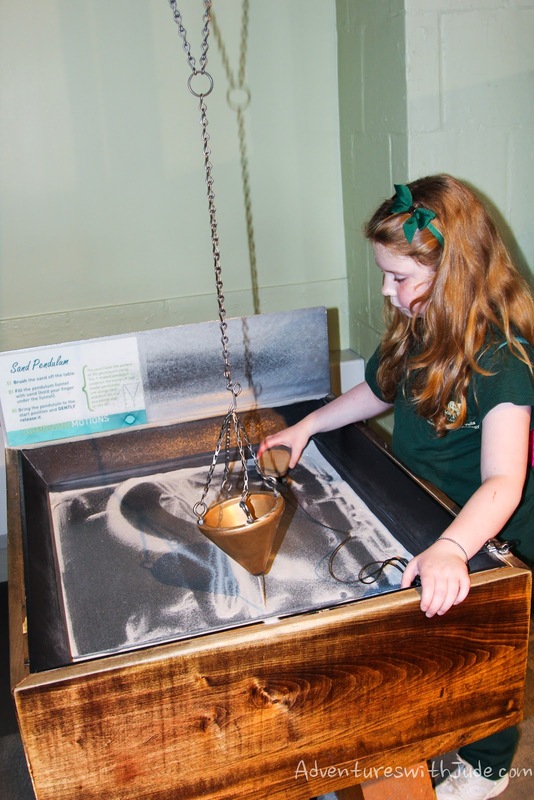 Machines of all types - from pendulums to pulleys - are featured in this area. 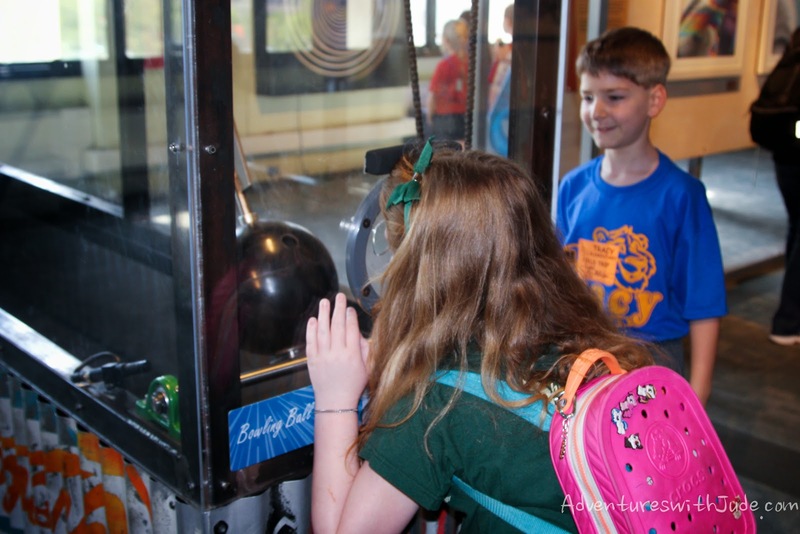 Pull the lever, release the bowling ball...and don't flinch!! 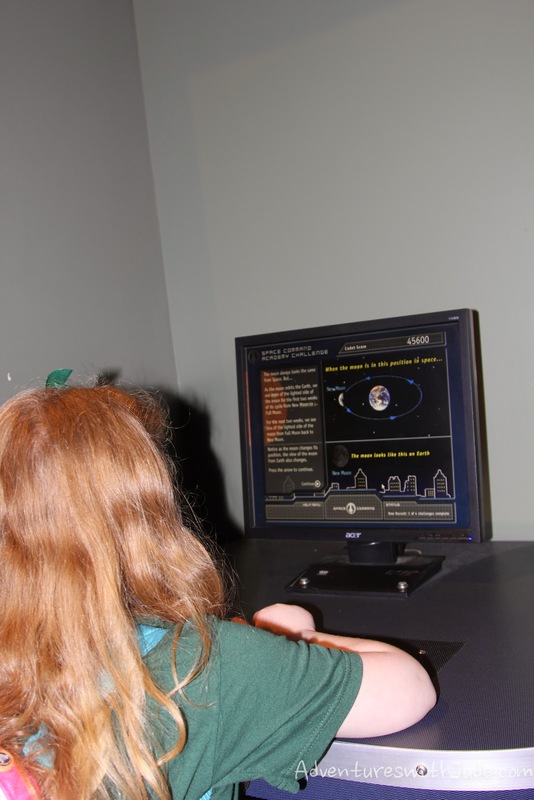 Other areas to explore in the museum include The Joel N. Bloom Observatory (unfortunately closed during our visit), and the Samuel Fels Planetarium. There is also a center marble staircase that highlights the Fulcrum Pendulum, and several smaller display cases along the outside of the stairs. 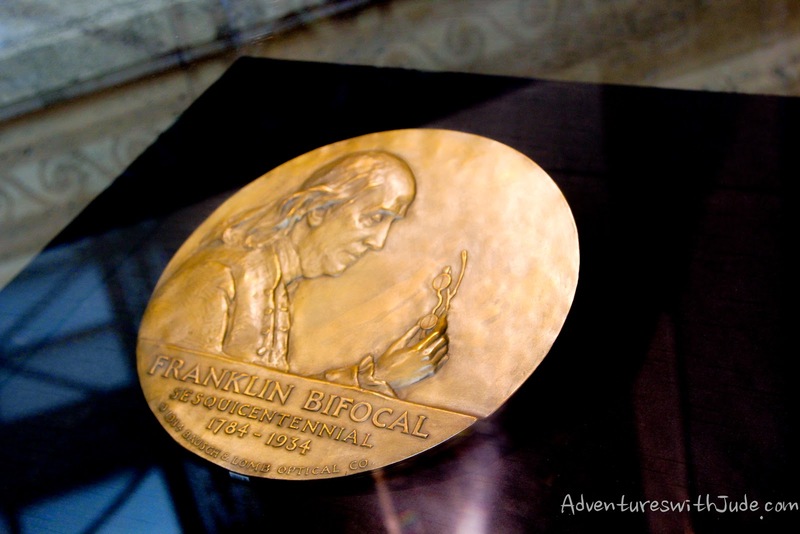 One of them is this exhibit that honors Franklin's contribution to optometry: bifocals! 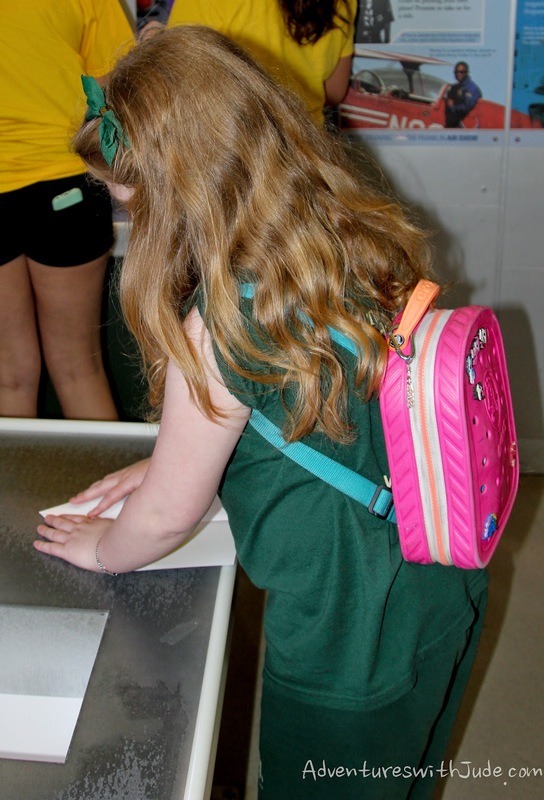 The Franklin Institute was one of Celia's favorite trips so far. We were sorry when we had to head back to the bus to come home. We'll definitely be heading back again soon! We haven't gone with our boys yet but after seeing your pictures I SOOOO want to go now! Looks like they've added some new things since I've been.